What happens when we do the fool on the edge of a cliff in Minecraft? So yeah, if you have pressed the shift is likely you to go down. Well, that has already a solution called Parachute 1.12.2 and 1.11.2 that allows crafting a parachute for emergency situations, but also to enjoy yourself, but be careful to approach to the walls as it will just close and you’ll fall directly to the ground. And most importantly, make sure you take the parachute in hand before jump! Sure you’re not the first. 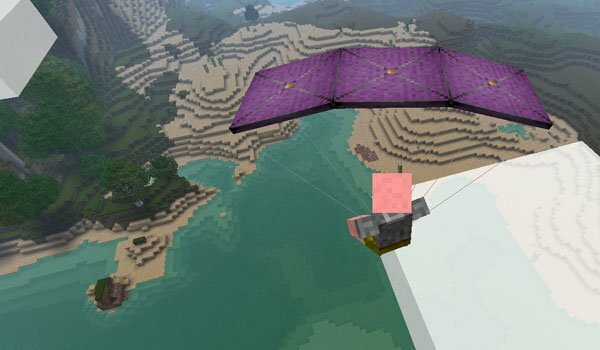 How to install Parachute Mod for Minecraft 1.12.2 and 1.11.2? Ready to make the big jump!